USB in Rockbox land was originally a matter of supporting the USB bridge chips in the first targets we supported (the Archos ones, the irivers and the iAudios). Since the USB stacks moved into pure software in the used soc chips, Rockbox has (unfortunately) relied on the original firmwares (the so called OF) to provide USB support so that host computers can access the players. One of the projects in the Google Summer of Code 2007 for Rockbox was to introduce a USB stack and offer native USB support for Rockbox, at least on the PortalPlayer-based targets. These targets were selected because the PortalPlayer chips have been found to have a USB set that is next to identical to the one used in the Freescale i.MX31 and that is fully documented online. Christian Gmeiner took this project to state where it partially works, but not enough to be actually useful to any Rockbox user. 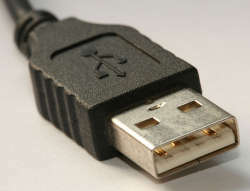 Christian’s code was largely based on USB code from the Linux kernel. I hope that you managed to resolve Segmentation fault. I am having the segmentation problem when I run my Executable, I think it got to do with Remote failure Reply, I am not sure. My executable is build under ARM-Linux. I will be grateful if you can tell me which Library file you included or deleted in order to get rid Of segmentation fault. I love it. I have no idea what he’s talking about..! Quite likely everything will be evident once just a tad bit more details are revealed. I got the advice to try shutting off my on-board audio in the BIOS settings, and indeed I think that’s a great idea as with only one sound card present in the system I figure the chances are much bigger that things would auto-detect and work smoothly. Someone mentioned that this situation of course may be different with different distros, and while that may of course be entirely true it really doesn’t matter much to me since I won’t change distro (now) and I would expect Debian to be at least around the distros that do a half-decent job.